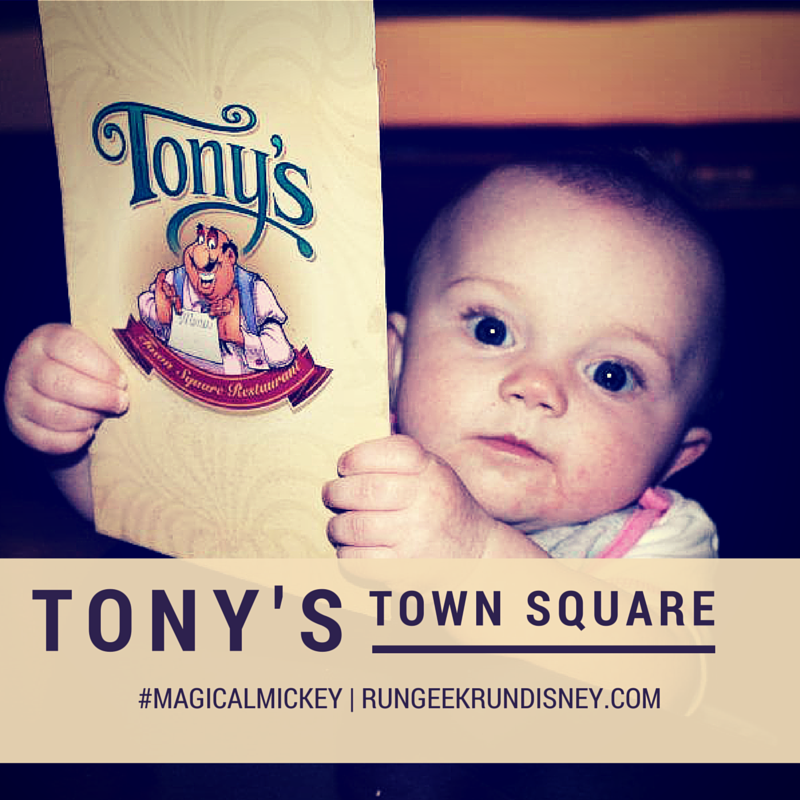 Located right up front in the Magic Kingdom park on Main Street U.S.A. is Tony's Town Square Restaurant. This turn-of-the-century trattoria offers classic tasty Italian cuisine. The restaurant is pulled straight from the Disney classic Lady and the Tramp. In the lobby you'll find pictures of the canine couple, as well as a fountain of the two title characters. That is not the only place you'll find them. As I mentioned, I had never eaten here until our honeymoon. When they found out we were there for our honeymoon, we got the most romantic table in the restaurant. Tucked away in the back, you can get a view of the alley. While an alley may not sound romantic, you'll see the two pooches forever sharing a plate of spaghetti. While the menu may not be as exotic as some other options in other parks, Tony's offer's some great Italian options. My personal favorite would be the calamari as an appetizer followed by the Chicken Parmigiana. I can't turn down a good chicken parm. The meatballs are also delicious. Of course, I have to suggest finishing up with tiramisú. Tony's Town Square is a great option for if you have children as well. Most children love Italian. Even my daughter enjoyed a little spaghetti at 7 months old. If you've ever overlooked the first table service restaurant you'll find in the Magic Kingdom park, give it a second look. 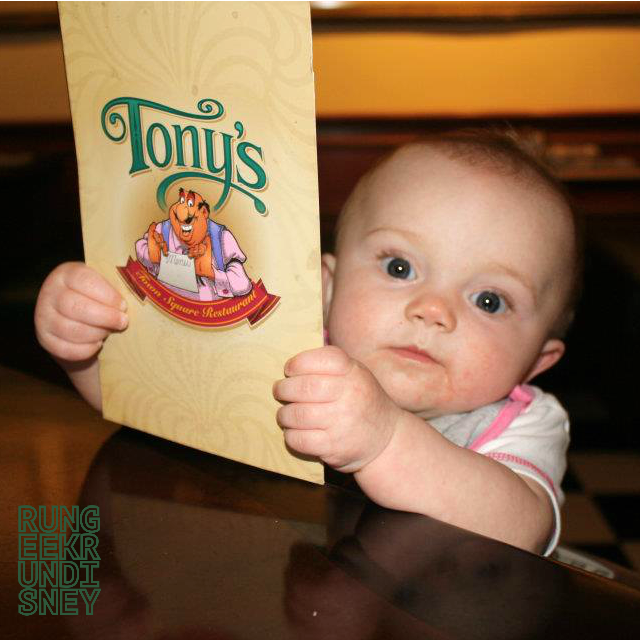 Have you ever eaten at Tony's Town Square Restaurant? I'm a carnivore kind of guy. I love meats on the grill. Burgers, steaks, brisket, ribs, doesn't matter. Grill it up and enjoy. One of my favorites, that I haven't done in a long time is a turkey burger we make. They consist of ground turkey, breadcrumbs, onion, egg whites, parsley, garlic, salt and pepper. I love grilling up veggies. Just this week I grilled up some zucchini, squash and red peppers with some Italian dressing with some grilled chicken. So tasty and healthy. I love fresh veggies so I'm glad the weather is getting warmer. To go with the fresh produce, this is one of my favorites. I love corn on the cob. A very tasty way to have it is grilled. I don't do it often, but I really enjoy it. A great way to cook it up, worth the extra effort. This one is for my wife. I personally am not a huge seafood guy. I do love to cooking, so I enjoy making this for her. It smells good, just not a food I really enjoy. Season it up right, a little butter, down under good. 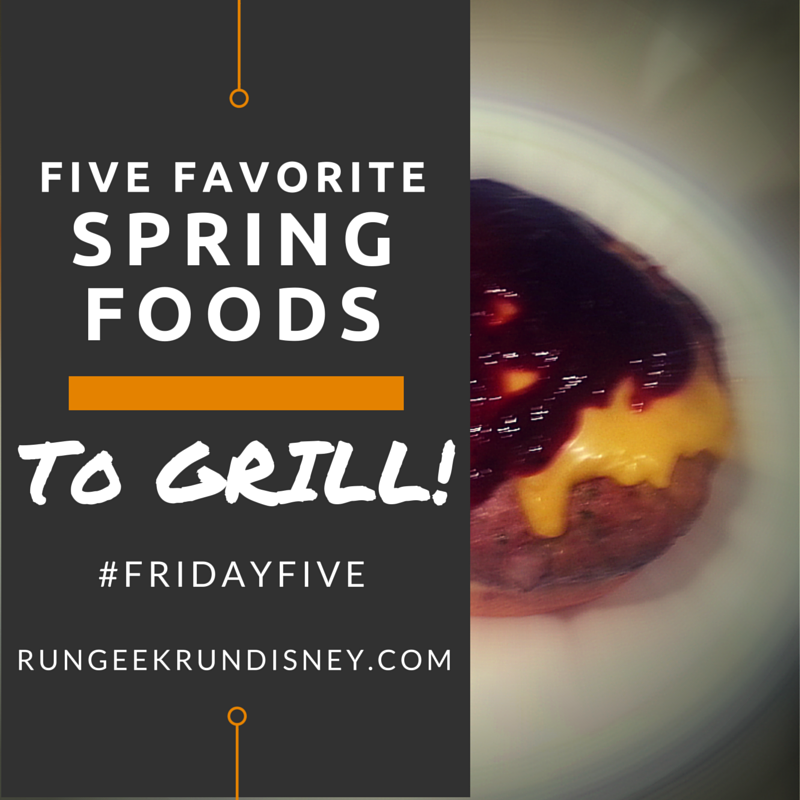 Ok, this last one I can't really call a "favorite" but more of a food on my todo list. I love pizza and I've read that grilled pizza can be really good. I'm looking forward to making my own dough and trying out grilled pizza this springtime. I have a giveaway going on right now. You can win some run, some geek, and some run(disney). Go enter now. Ends Saturday at 11:59:59. 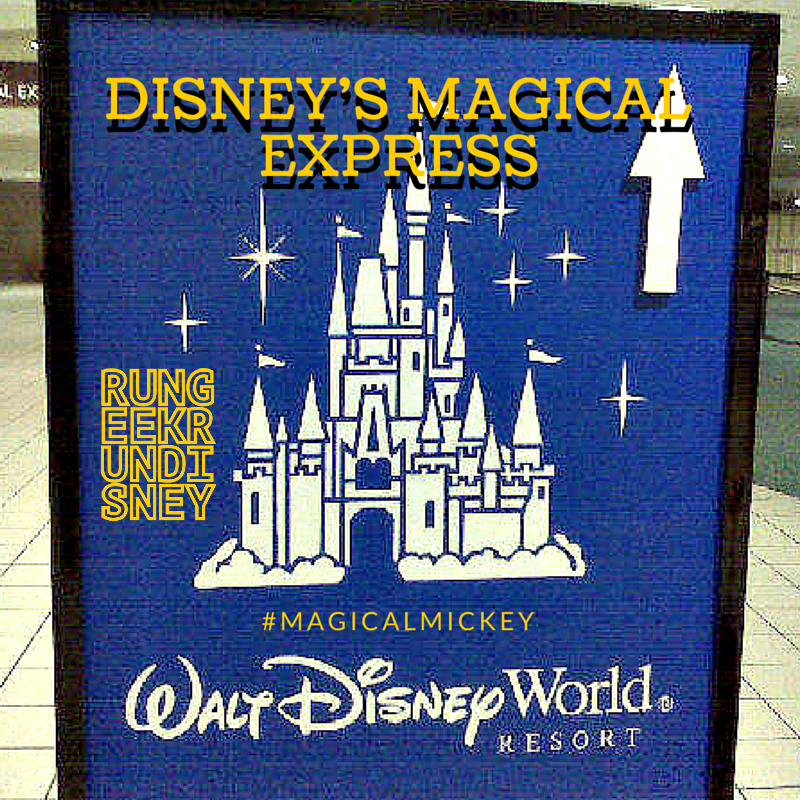 If you're going to fly into Orlando for your trip, you should consider taking Disney's Magical Express. When you're doing to Disney, flying in and out, it's the easiest way to go. The idea is simple: you provide Disney with your flight information and they'll handle your luggage, get you to and from your resort and I'll you have to do is show up. Easy, right? 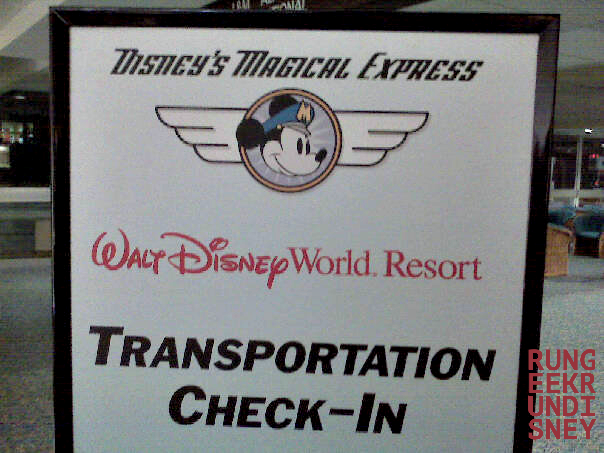 When you book your Magical Express tickets, you provide your flight information. You'll get some extra tags to throw onto your luggage. Those tags alert the baggage handlers that these are Disney bags, and they won't show up on the carousel. Instead, they get pulled out and taken right along to the resort hotel you're staying in. Now, I say "right away" but your luggage can take a little time until it's loaded up, taken to the resorts, unloaded and sorted to your room, so you'll want to plan accordingly. Anything you want right away should be in your carry-on. Officially, it can take up to 3 hours. Now, if you're really early (before 5:00 am) or really late (after 10:00 pm) you do still need to pick up your own luggage and bring it with you. We took a spur of the moment birthday trip for my wife once and were in that situation, but frankly when it's that late, it's not like it's overly busy and hard to get your luggage. 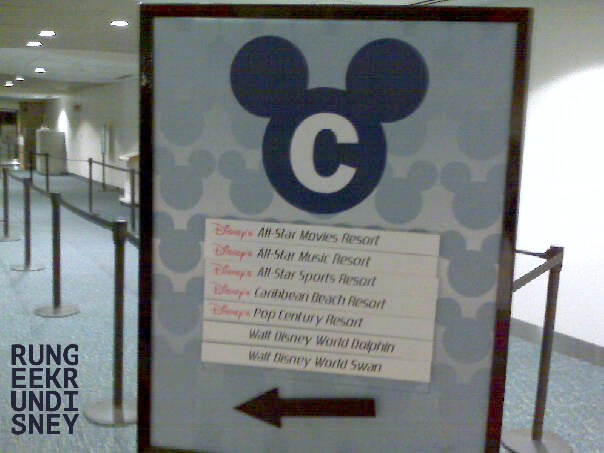 Either way, you follow the signs to the Magical Express area of the terminal and find the sign for your resort. From their you hop on the appropriate bus, that will travel to several resorts and you'll be on your way shortly. Coming home can be easy as well. For starters, you can check your luggage at your hotel. And I don't just mean at the desk to get when you come back for it later. I mean check it like you do at the airport, only doing it at your hotel so you can then go enjoy your few last hours at the park. If you do this, just be sure to consider that what goes with you into the parks will be your carry on, so be careful what you have in your bag. You'll receive all your information at your room the night before. That will include your pick up time and can even include your boarding passes. You'll be given a pick up time around 3 hours before your flight, but it can differ depending on your resort and time of day. This can feel a little less convenient depending on your flight, and because if you're like me, you want every last minute on property you can get. Not a deal breaker, but sometimes feels overzealous, especially if you don't even need to check luggage. There are benefits to having a car rental. You can go anywhere you want at any time, go off site for food and supplies, even head to some other attractions. Also, you can drive and park at the parks if you so with to instead of taking Disney transportation. It can be more convenient at times for leaving or having extra things handy, especially with little ones. But if you plan to fly in, go to Disney and go home, this is a great option. I enjoy it, even if the bus ride back to the airport has to be the saddest bus ride. 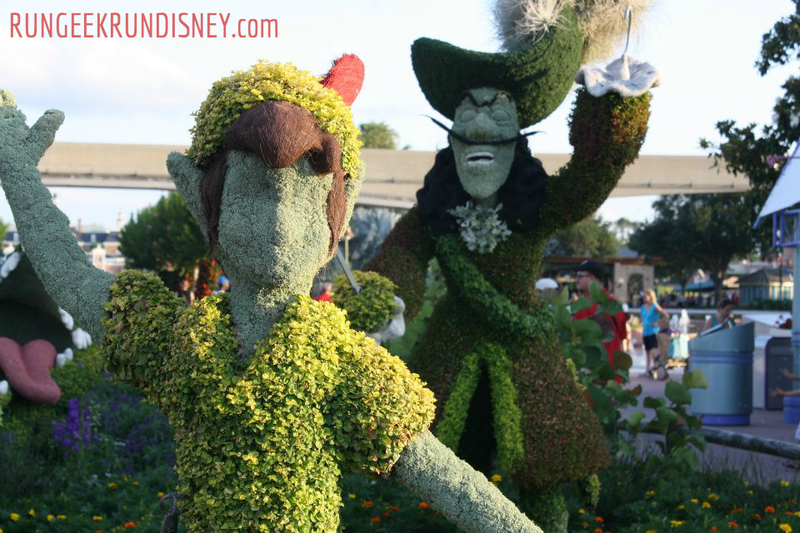 How do you travel to Disney? Do you take the Magical Express, or prefer to have your own car? So, I said to myself, "Self, we should do something for my blog-a-versary." Then, I said the same thing to my wife. She, with all her infinite wisdom, suggested "Why don't you do a giveaway?" Well, why don't I? So how about we do that? And how about we stop asking questions? First up is run. 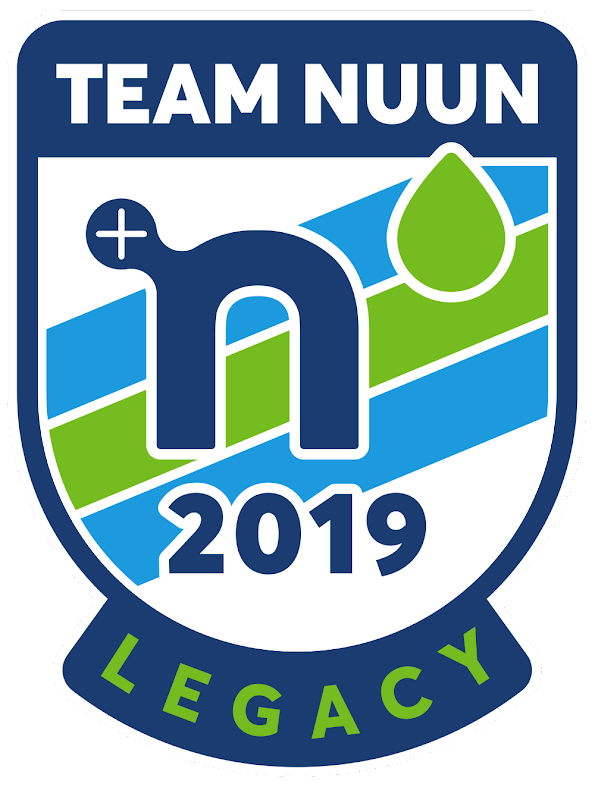 For here, I'm going to turn my hydration drink of choice, and my team, Nuun. 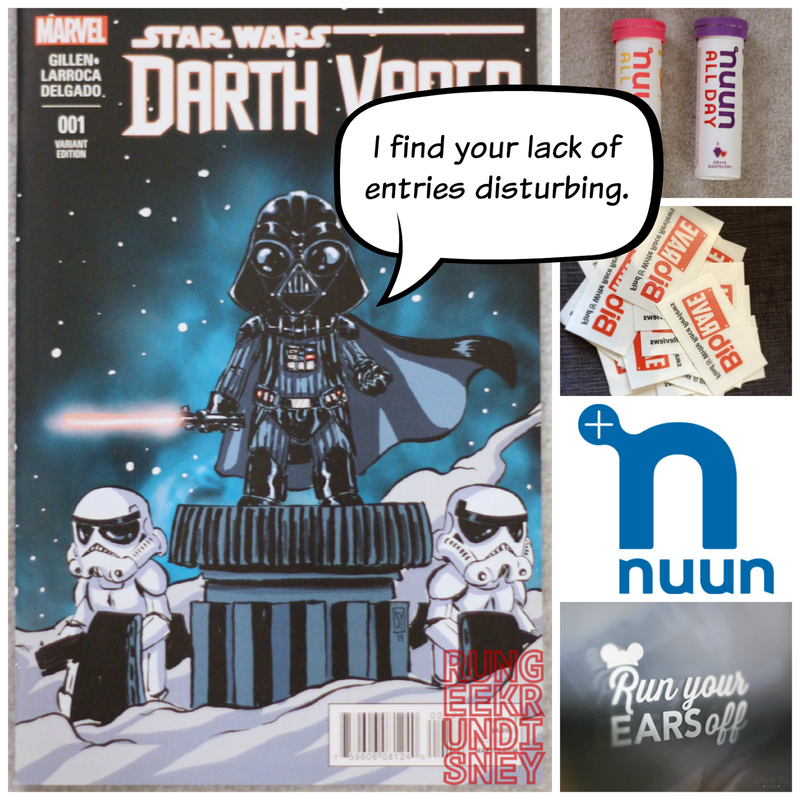 I love Nuun Active Hydration and Nuun Energy. You should know that by now. Really, I post all the time about it. 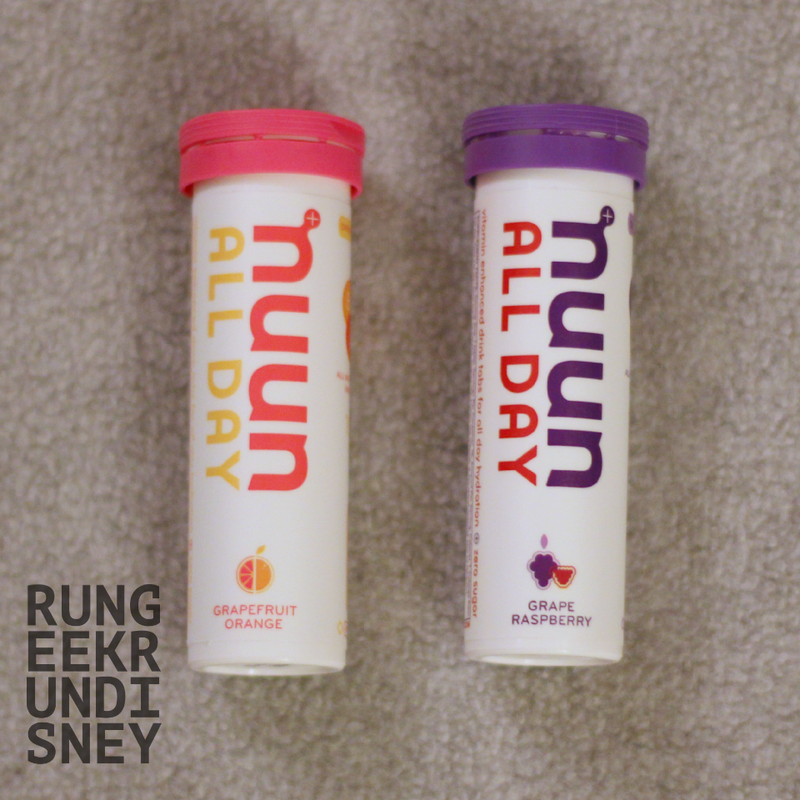 But something I first started trying at the beginning of this year that I also really love in Nuun All Day. Nuun All Day provides a mix of vitamins to keep you healthy, as well as the same all natural, no sugar, under 8 calorie flavor. I count this as responsible for helping me almost completely cut out soda. I used it to replace drinking soda over lunch at work, which then lead to me not drinking any in the afternoon. Now, about the only time I drink any soda is if we go out to dinner, and even that isn't guaranteed. The offer 4 different flavors online. I'll be sending the winner 1 tube of 2 different flavors to try. Don't want to wait to see if you win? Why not order some now? You can save 20% now with the code LuckyNuunFriends until March 26th. That's right, I couldn't let you go without a little swag too. 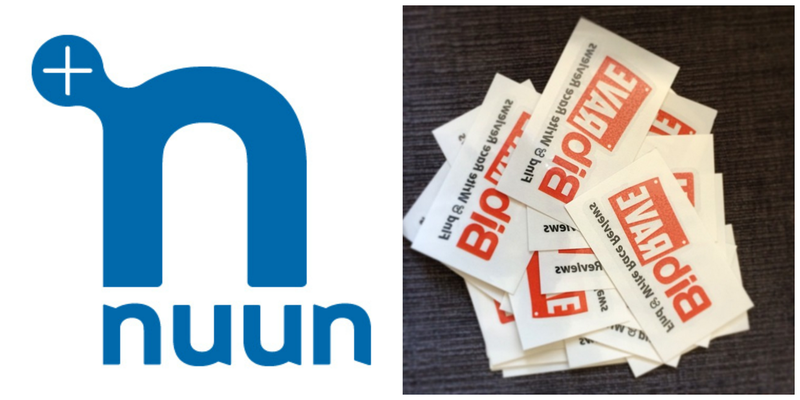 So I'll be throwing in some temporary tattoos for both Nuun and BibRave. That's right, rock out tough on the race course. 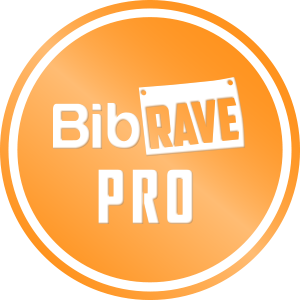 Show you have Nuun in your veins (if you're like me) or that you'll be reviewing the race after you finish on BibRave. You are doing that, right? You should be. Orange is the new fast. I always enjoy to spread some geek love. This one was easy and hard to pick what to do. I came to a quick decision of what to give. To share my geek love, I'm going to share a comic with the winner. Now, the hard part was to pick which comic. I decided to go with something a little more widespread as far as enjoyment by many: Star Wars. 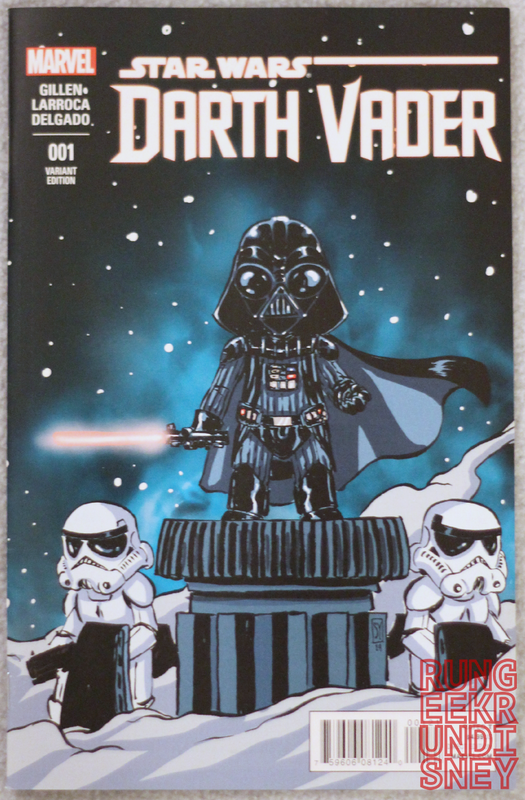 So, to the winner of my blog-a-versary giveaway, I am going to be giving away issue number 1 for the brand new Darth Vader series. Not only that, I picked my daughter's favorite variant on the cover. Part three of my title, the combination of running and Disney. I love running, I love Disney, and I love runDisney. I couldn't help but give away something from runDisney to my readers. So for this, I went a little less traditional route, because while you can get a lot of runDisney merchandise at expos, they official store is lacking throughout the rest of the year. So, we turn to Etsy. There is a page on Etsy, Happily Ever Tees, that offer some great Disney-centric designs. They're all about showing your Disney side. They offer their designs generally through t-shirts, decals, bags and frame-able prints. I have to be honest, there are a LOT that I want from there. There is one that is just perfect for the category of run(disney) in this giveaway. 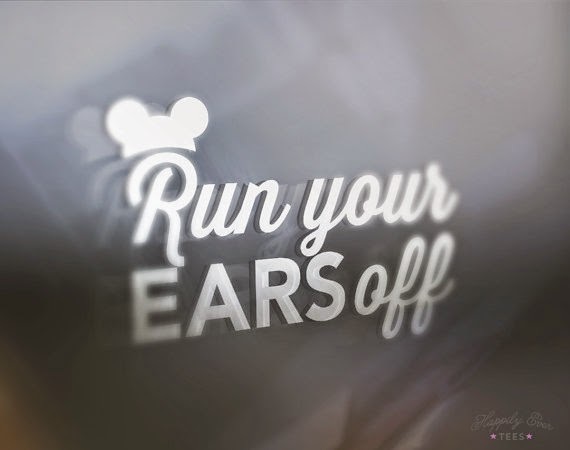 The winner will receive the Run Your Ears Off Vinyl Decal. This will work great for your car, computer, window... any stickable surface really. How's that for a giveaway for you? More? Well, I'm glad you asked. No, the winner will not get more stuff, but in honor of it being TWO years of blogging I'll be giving away TWO prizes packs and therefore two winners! 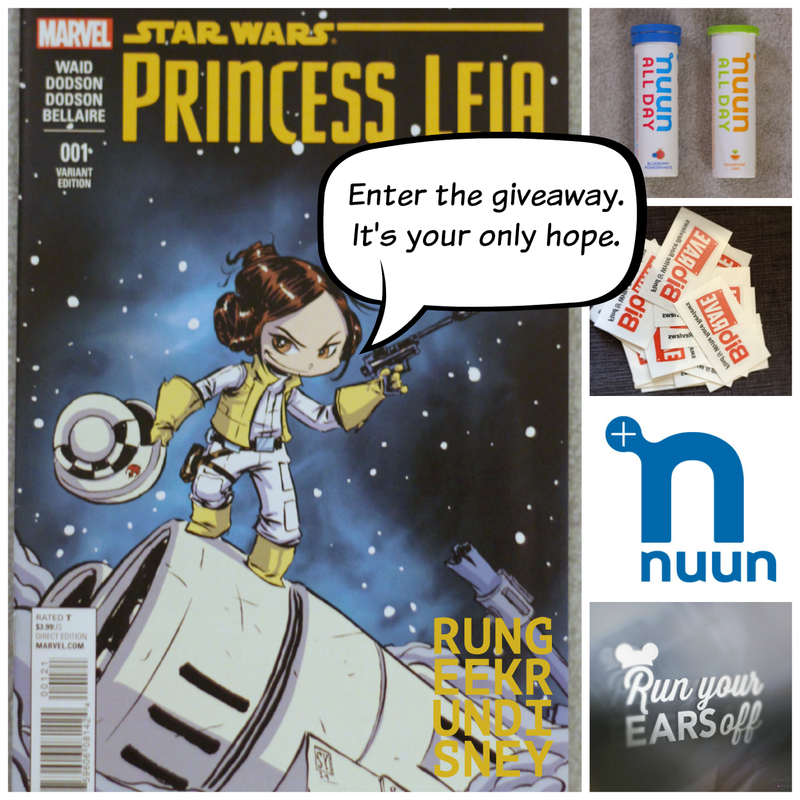 The second winner will get 2 tubes of Nuun All Day as well as get tatted up [run.] a copy of issue one of Princess Leia comic in the same style variant [geek] as well as the Run Your Ears Off decal [run(disney)]. Winning will be simple. I'll again use Rafflecopter as I did with my 1K Giveaway. If you've entered contests on blogs, I'm sure you've interacted with it before. Just follow the different ways you can win and at the end of the giveaway period, I will validate entries and then let Rafflecopter do it's random thing. I've added my updated to the weekly linkup with SD Mom and Erica Finds, so go check out their giveaways and all the other great giveaways this week! No purchase necessary. Void where prohibited. 2 winners will be selected via the Rafflecopter widget. Open to Residents of the United States 18 years of age or older. Winner(s) will be provided the prize from me, via mail. Non-Disclaimer: I was NOT provided any of the following. The thoughts and opinions are all my own. The giveaway items are purchased by me and given to you. I hope you enjoy. If you don't like the stuff, don't enter. Who doesn't love some new running gear? Go out and get yourself something new, something that fits good and makes you feel good. A new tech shirt, some shorts, maybe some compression gear... or be a real man and get a kilt! Yes, they are great for running. Do you like to run on a sunny day? I thought so. While the weather isn't perfectly there quite yet in northern Virginia, just get yourself in the right mindset. Go running while it's still sunny out, put on some shades and soak in that vitamin D. It may not be fully spring warm yet, but with the sun glasses, it might just feel a little bit closer. Get up and going with some tunes. Break out the happy tracks. Music can make you feel good, so find that sunny mix, pop in the headphones and get to work. It may just add an extra spring into your step. So, this is not as big of a deal down here, so it may not be in your area either, but today is free Rita's day. The first day of spring is the day to go out and get a free Rita's Italian Ice. In PA, it's just a thing. Everyone knows about it and many people go get their free one. So go find if there is one near you and enjoy your taste of spring time. Then know it comes every year. Just do it already. Just get out there. Spring to it. Then you've sprung into it. 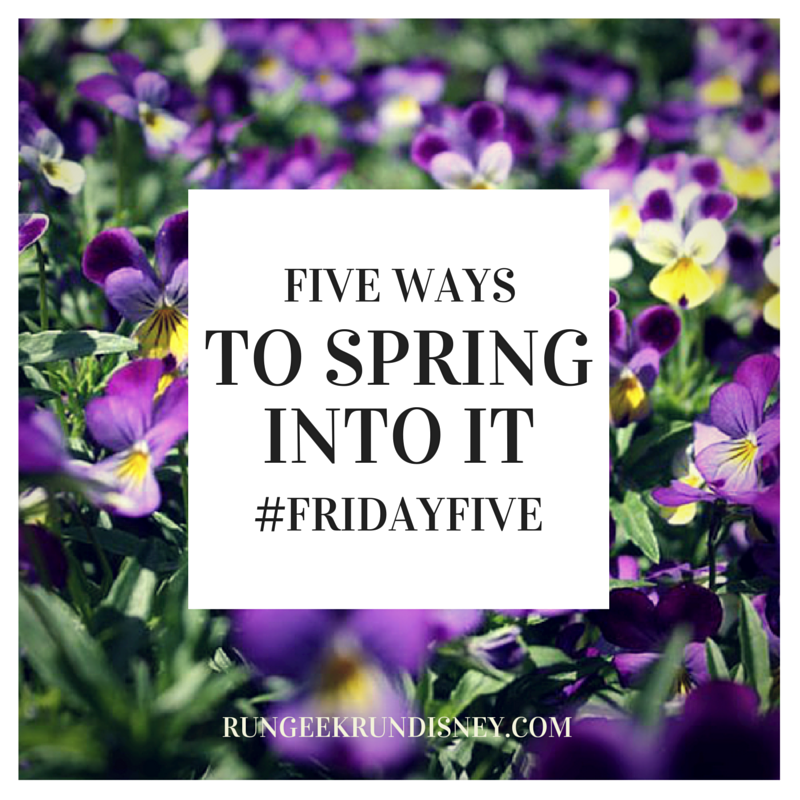 You can't spring until you've sprang so getting springing! That's right, I'm infomercial-ing you. Today is not only the first day of spring. 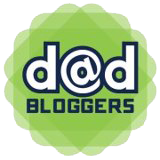 It is also my blogaversary! That's right, two years ago today I posted my first entry to this blog, under a different name but still right here. It's crazy to think I've been writing it for this long. So, I'm going to celebrate with you, my readers. What better way to celebrate than with a giveaway! 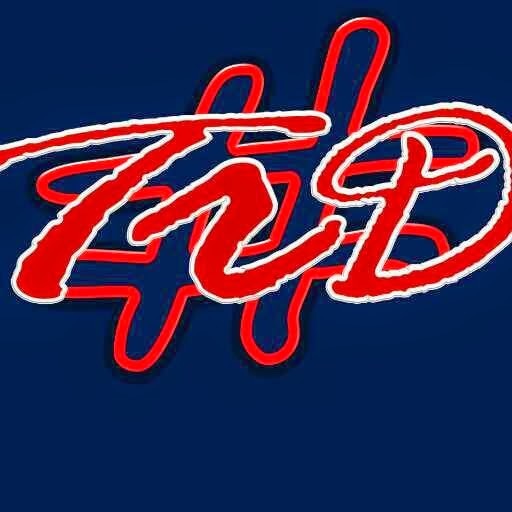 Come back later tonight, and you'll find out what I'll be giving away and have your chance to win. Giveaway can be found NOW. Still reading down here? 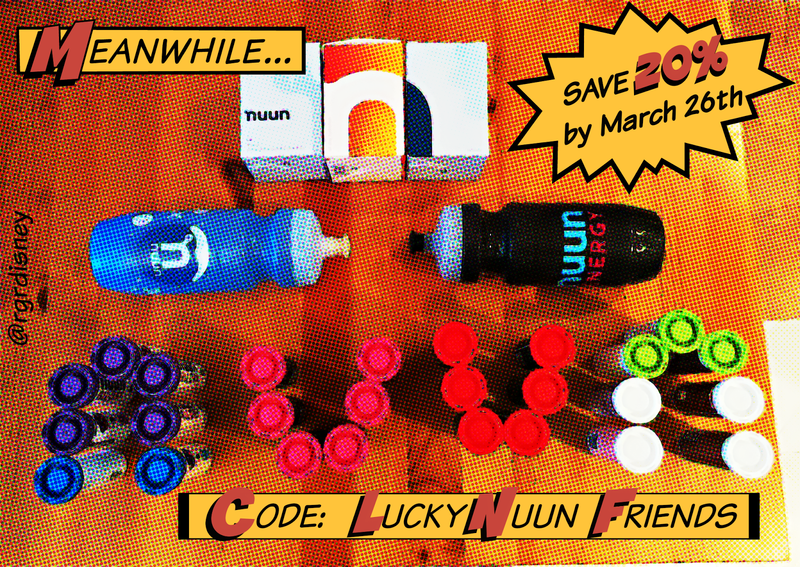 Don't forget you can save 20% right now on Nuun on shop.nuun.com with the code LuckyNuunFriends. That's you, my Nuun friends who are lucky. There is currently a lot of changes going on at Disney's Hollywood Studios. There have been several attraction closures, such as the Backlot Tour, the Legend of Jack Sparrow and the American Idol Experience. There's the recent announcement of the much needed extra track of Toy Story Midway Mania. The Sorcerer's Hat has been removed from it's place in front of the Great Movie Ride. There are still rumors of more closures: on the chopping block Indiana Jones Epic Stunt Spectacular as well as Lights, Motors, Action! Extreme Stunt Show. Bob Iger even let slip that the name for the park will be changing. This all leads to one question: what is going one? The two currently large rumors are on two themed editions, a Star Wars based area (expanding out from Star Tours) and an expansion of Pixar Place. Today, I want to ponder about the latter. This post isn't about spreading rumors, or what's true, or what's not. This is purely about thinking about what you'd want to see. It's a thought exercise in "money is not object" and "technical feasibility aside". 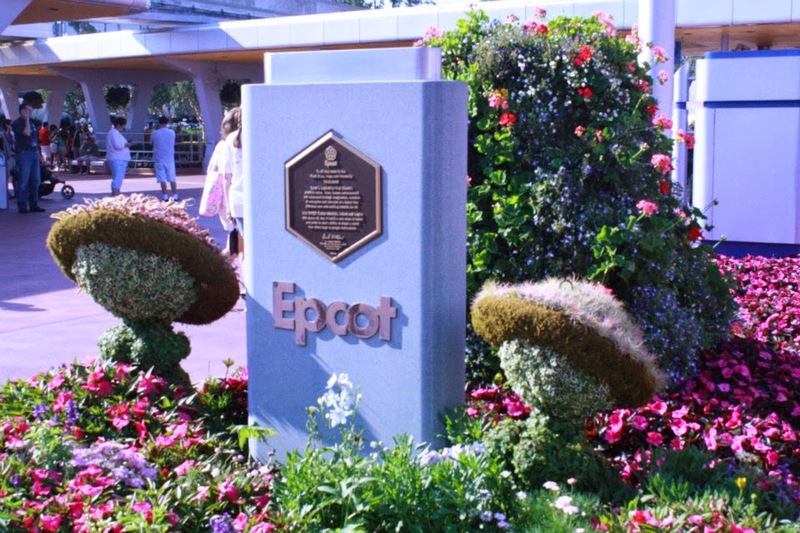 The first attraction to throw out there is one from Walt Disney Studios Park in France. The attraction is Ratatouille: The Adventure. This is supposed to be a fantastic attraction where you shrink to the size of Remy and see the kitchen from his point of view. It does have a rumored exclusivity to France for an amount of time, so we won't likely see an export too soon. There are several other Pixar based attractions there, that could also possibly get the export treatment. Several seen on the list are Crush's Coaster, RC Racer or Slinky Dog Zigzag Spin. Many people of course would love to see Radiator Springs Racers travel across the country. While this ride is supposed to be fantastic, an outdoor ride such as this wouldn't really work in the "every afternoon shower" environment of Florida. Have you ever been caught on Test Track as it starts raining? Or just any roller coaster. The pin needles to the face is not exactly a pleasant experience. We could instead talk a modified version of the ride, indoors. It wouldn't be a full size version inside, but maybe with some sort of modified ride car with a combination of some movement with screens and 3D elements that could make it work. Now let's forget the export route. This is one ride I've always wanted to see. I'm also not alone on this. I'd like to see a roller coaster based on the door hangar scene of Monster's Inc. The scene itself is just perfect for a hanging coaster. Zipping around, trying to stay away from Randall, maybe through a closet into the real world before some tight turns back into the factory. Add in some additional effects beyond the standard coaster, and you've got a lot for the Imagineers to work with. It's actually a rumor that pops up every once and a while as a possibility, but never materializes. Maybe now is the time. Maybe we'll see some more of you Boo. 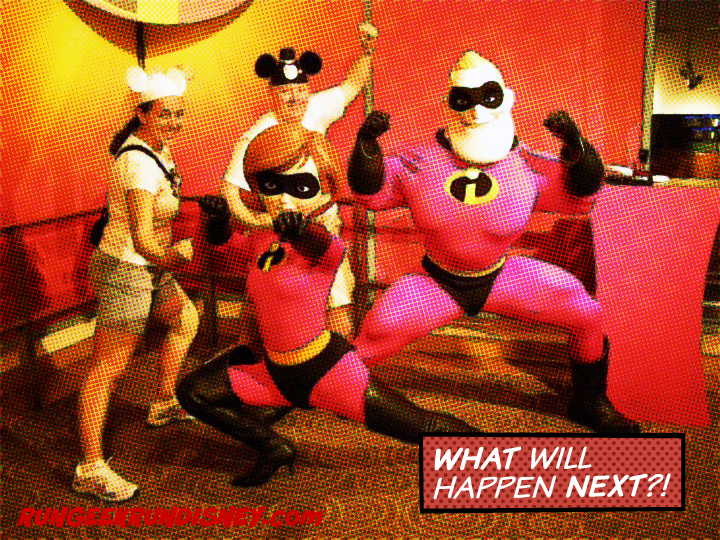 I don't have any solid ideas just yet, but I'd also like to see something Incredibles based. I think you could easily get something out of the super hero based story. The most important part is I want to see it be PIXAR Place and not TOY STORY Land. What ride would you like to see? 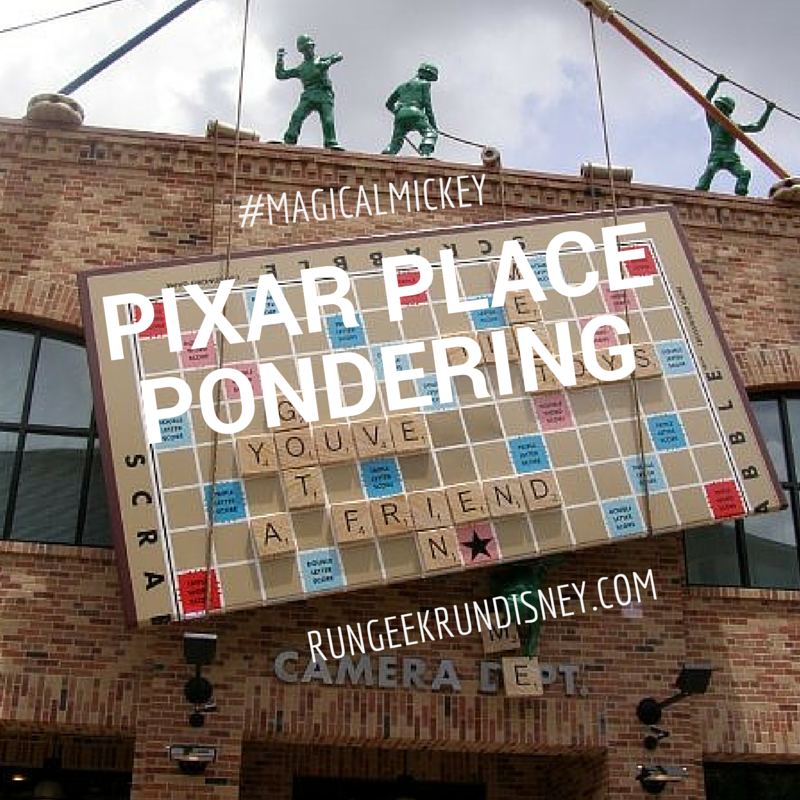 Is there any particular Pixar movie you'd like to see get the Imagineering treatment? 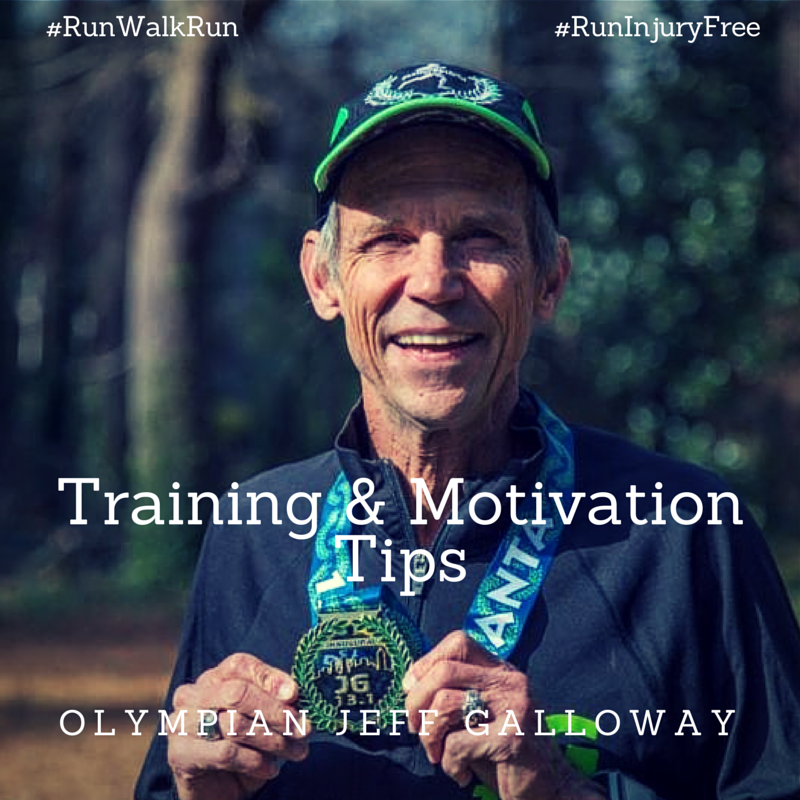 It's time for another set of tips from Jeff Galloway, as part of the Jeff Galloway Blogger Program. I'm very excited to be a part of this program, to share (and learn) some motivation and training tips from a runner I hold in high regard. I'm happy to share with you the latest tips from Jeff, looking to keep you healthy as you pick up in your training. While researching for my book RUNNING UNTIL YOU'RE 100, I reviewed dozens of studies and could not find one showing that running harms legs, feet, joints, etc. Runners from Austin, Duluth, Denver, Metro Dc, NW Indiana, and Montgomery County, MD - We are coming to you! There is a Galloway Training Program starting near you in the month of March! Check the calendar for more information. 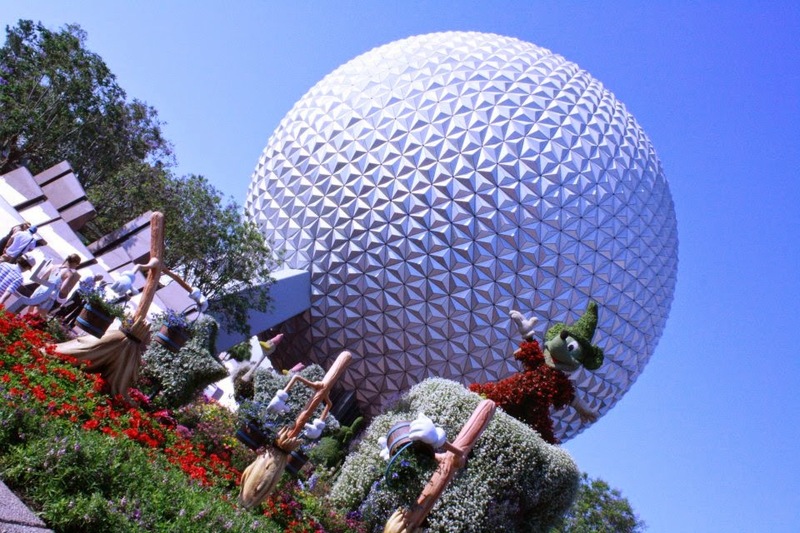 Currently at Epcot is a celebration of springtime: the Epcot International Flower & Garden Festival. I had a chance to experience the tail end of this festival back in 2012. We took a trip where we experienced the last weekend of this festival AND got to go to Star Wars Weekend (but that's a topic for another post). And when I say "end" I mean we were there the last day, so I had some limited experience with the festival. While this may not be the most popular of all the special events, it definitely is one of the prettiest. There are so many additional flowering displays, beautiful colors, wonderful smells. 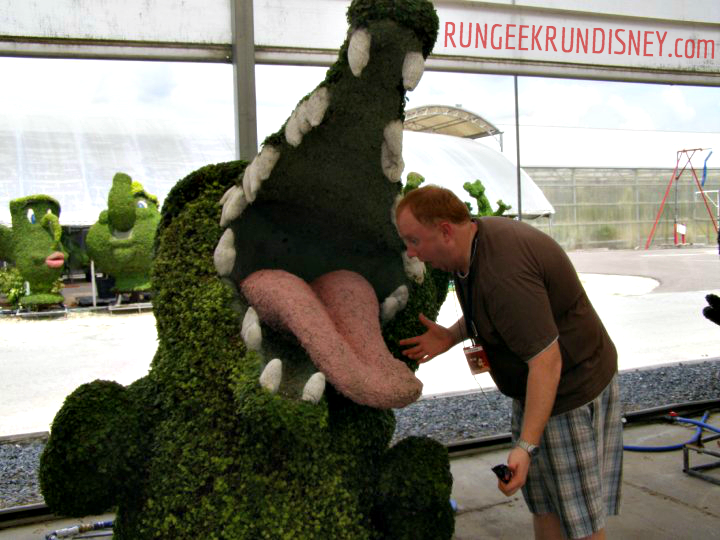 One of the largest parts of the displays are the topiaries, all locally grown and created. 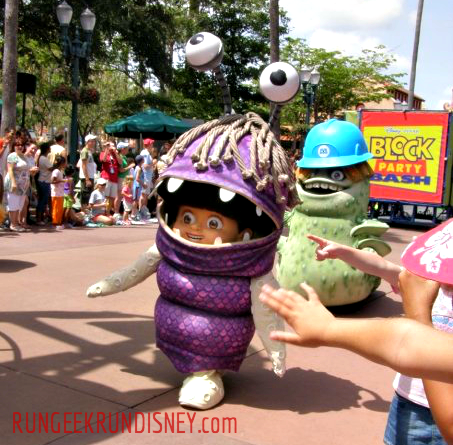 You'll see a whole cast of Disney characters spread through out the park. 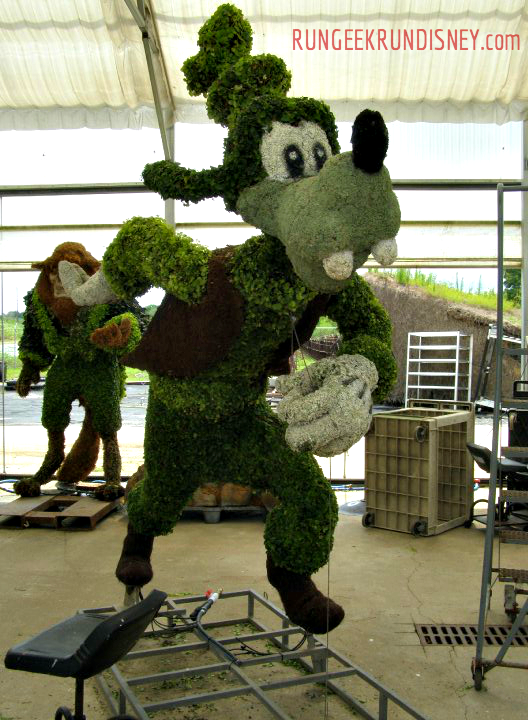 If you want to see something special, at other times of the year you can see the preparation work for the Epcot International Flower & Garden Festival. On our honeymoon, we took the Backstage Magic tour. It is a fantastic 7 hour tour where you see all 4 parks. 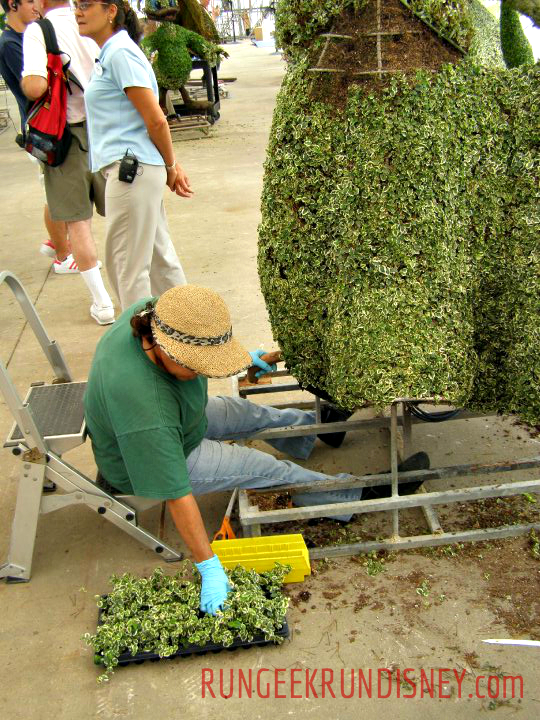 One the tour, you also see in the backstage area where they create the topiaries. While most of the tour you cannot take pictures, this is one area where you were able to. No only were we able to see some in process and growing, we actually were lucky enough to see one being made. The festival also includes fresh seasonal food, a special Garden Rocks Concert series and special merchandise for all your gardening needs. You can even pick up some plants and seeds to give a try. 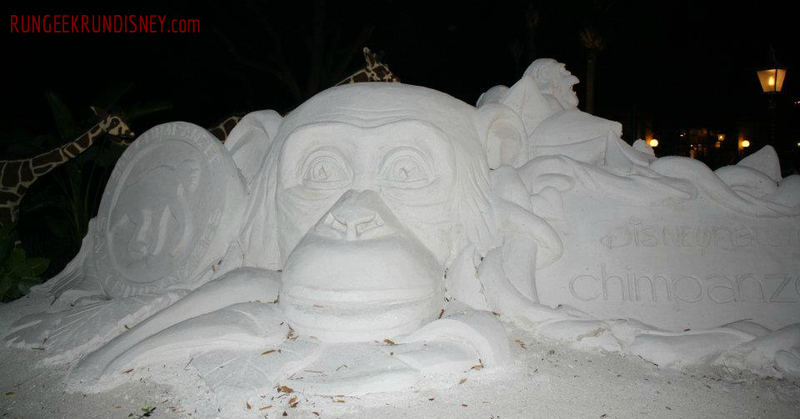 There even are other special displays, such as this sand sculpture. 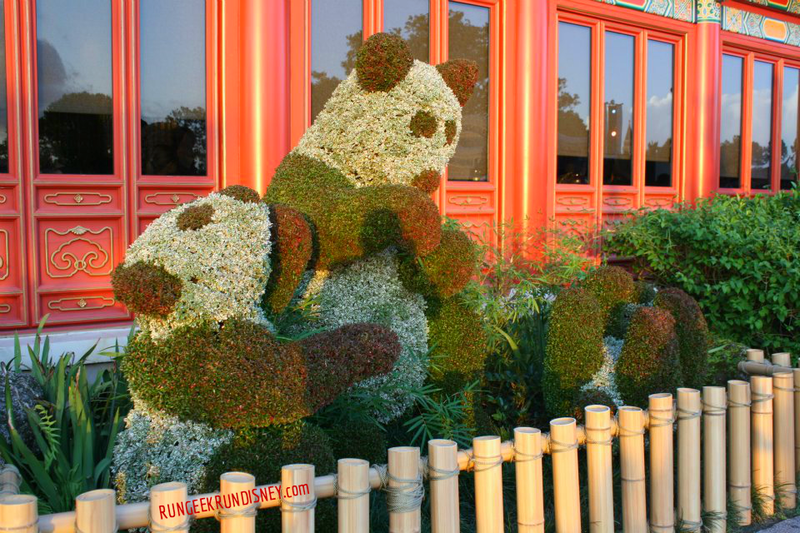 The Epcot International Flower & Garden Festival runs March 4th - May 17th this year and is included in park admission, so enjoy! 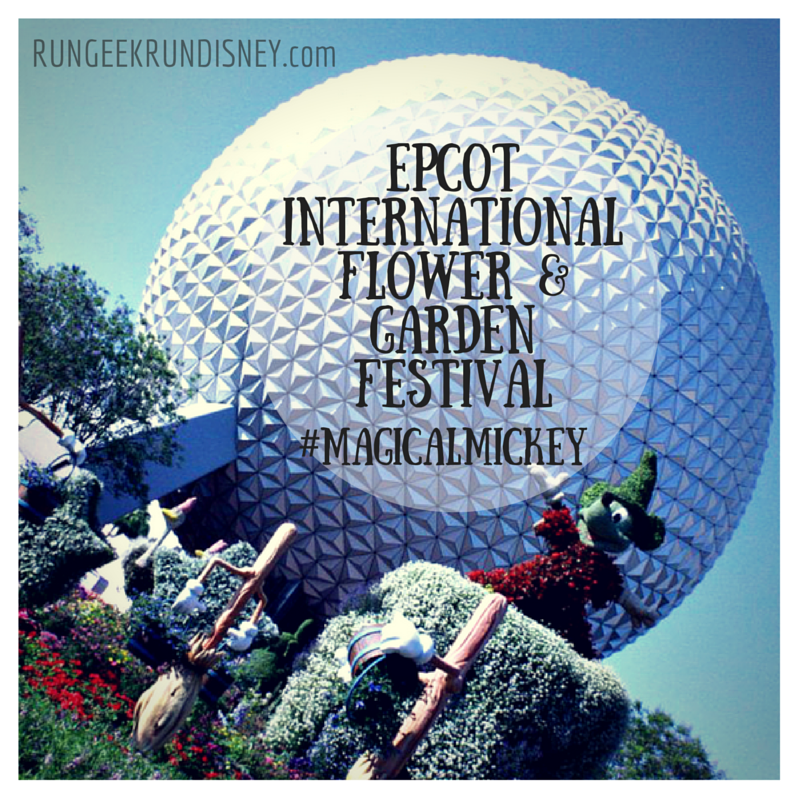 Have you ever been to the Epcot International Flower & Garden Festival? Do you have a green thumb? 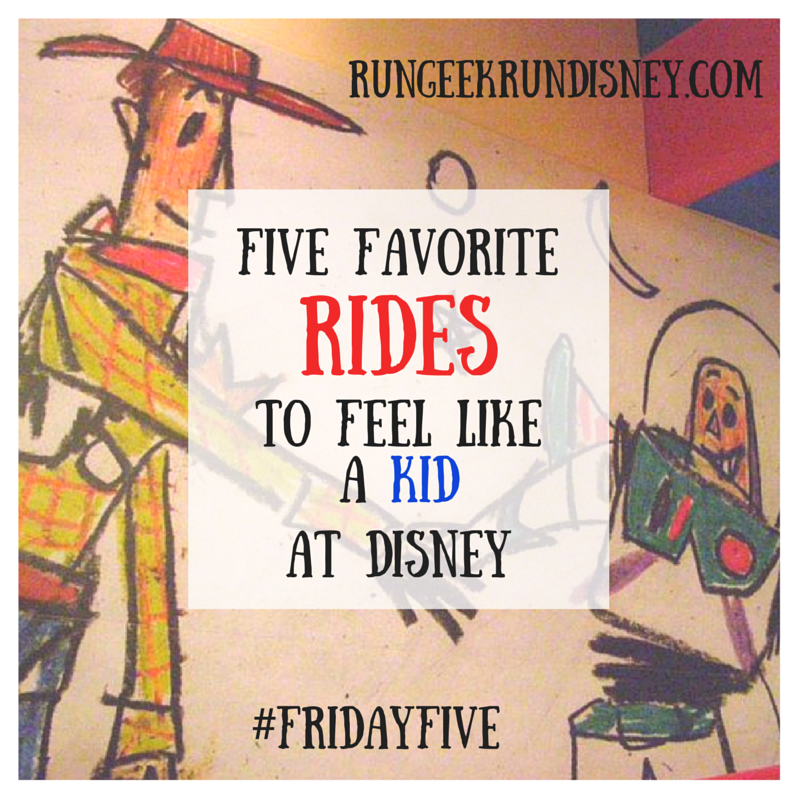 We'll start Magic Kingdom park for this list, where there are many rides that fit this list. I could easily choose five from just this park and still have some left over. My first choice is a ride that is fun romp through a classic children's tale where you bounce right through the pages. You'll travel through a blustery day, bounce along with Tiger, encounter some Heffalumps and Woozles, get swept away when the rain comes down down down and then finally celebrate with all your friends from the Hundred Acre Wood. You get that great feel of the characters in their world, but with the pages intertwined, just like the movie does oh so well. The ride mechanism is a great contributor to immersing you in the story, where your whole car with bounce with Tiger and sway when you float away on the water. It's a great melding of childhood and technology. For number two on the list, we're going to go with a classic. Walt Disney's Enchanted Tiki Room has been around for a long time, in fact, it was the first Audio-Animatronics show. It was groundbreaking technology paired with catchy music. For me the music just brings back that nostalgia feeling and childhood memories. I still love to see it every time. The show has undergone several iterations, even being "Under New Management" for a while, but currently pays tribute to the original Disneyland show, with updated technology and remastered sound, of course. Next we're going to grab the monorail over to Epcot and learn about our imaginations with the help of Eric Idle and a little purple guy named Figment. This ride has undergone several changes over the years, even with some rumors of a Phineas and Ferb possible refresh, but is always one I've loved in each iteration. What is more childhood than your imagination? The ride does a great job of capturing that spirit of imagination and setting your imagination free. After the ride, you can play around some more in the hands on ImageWorks play area, with some cool hands on activities. And of course, it has it's own catchy tune. From Epcot, we'll take a short boat ride over to Disney's Hollywood Studios for our next attraction. I love the Muppets. I enjoyed watching the classic Muppet Show growing up, all the movies and TV specials. I've also enjoyed the latest two Muppet movies. Whenever we go to Walt Disney World, I'll also enjoy seeing this show, even though I've seen it countless times before. The show is a theater show where you see a Muppet Show style show in 3D, complete with corny 3D jokes and the Muppet style antics you love. The show is actual "4D". In addition to the 3D movie, there are in house effects, such as bubbles and maybe little spurts of water. They also use some Audio-Animatronics as well, really rounding out the feeling of being in Muppet Theater. For our final of the top five, we'll stay in Disney's Hollywood Studios. This is the newest ride on the list by far, but that doesn't mean it can't invoke that "feel like a kid" spirit. In this ride, you enter the world of Andy's toys to partake in some 4D carnival games. You hop in cars of 4 people with two back to back and compete in carnival style games with Toy Story twists, like a ring toss onto Little Green Men. The fourth D comes into play when you get puffs of air from popping balloons or the occasionally slight splash back. The ride also features a unique system for the shooter, where you need to pull a string to "fire" your shooter. All in all it creates a very immersive experience. Welcome to a world embraced by luxury, privacy, and the Magic of Disney. This magnificent resort community offers first-ever whole ownership of custom single-family homes at Walt Disney World® Resort. They're amazingly beautiful houses full of perks. You get concierge-style resident services including a private clubhouse with Markham's restaurant, Tyler's lounge, gym, heated pool and a game room. Of course you also get annual passes, private transportation to destinations on the Walt Disney World Resort, private VIP tours, tee time and spa reservations. Now, I have to be honest, it comes at a slight price. Ok, it starts $1.8 million. Maybe a little more than slight. But, when you do that, you get a custom home, complete with your own Hidden Mickeys. Who wouldn't want hidden Mickeys build into their home? I know I would. 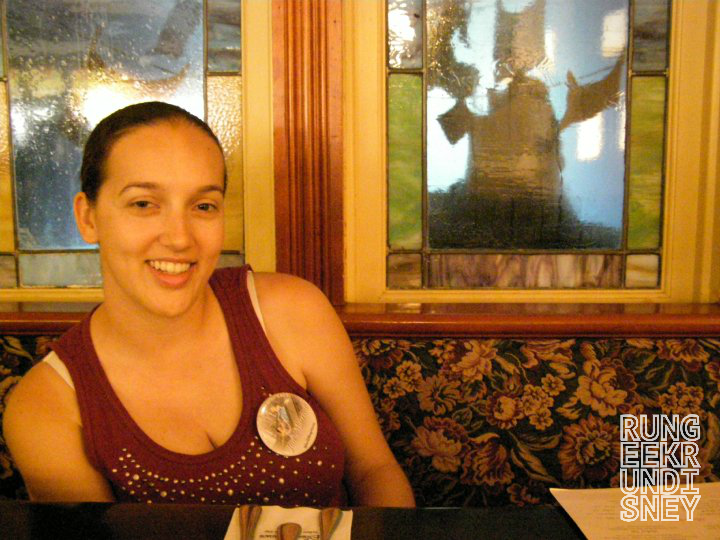 Bonus: play "spot the hidden Mickey in the cover image this week. 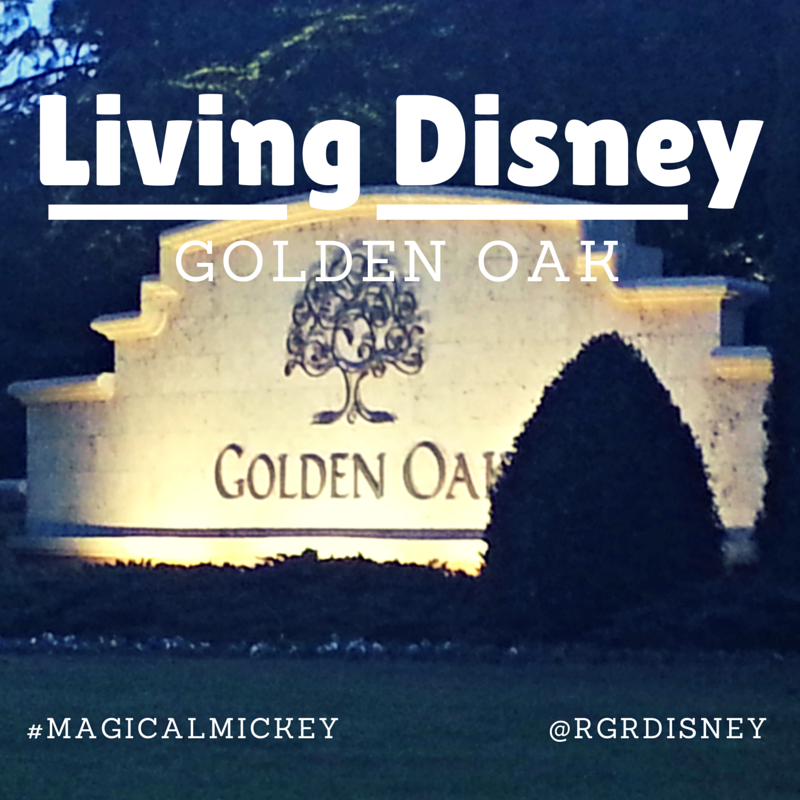 I actually came across Golden Oak by chance once. I had known they were there for a while, but had never actually seen or looked up where they were. During our runDisney trip for my birthday, we were trying to find a back way from Downtown Disney to the Magic Kingdom, ended up in a straight only lane when we wanted to turn left. I took it anyway figuring I would just turn around and ended up driving up to the gate. I would not mind calling that home. Would you enjoy living on Disney property? A bit of a lottery dream?